that three music legends celebrate their sixtieth birthday this year! Michael Jackson’s, granted, comes with a tinge of sadness – given that he is no longer with us – but Madonna and Kate Bush have also turned sixty. It seems like 1958 was a vintage year for great musical births – I wonder what was in the water?! In the same way radio stations celebrated those female icons by playing their best tracks and focusing on aspects of their art; there is so much to unpack and note when you look at Michael Jackson. From the budding genius who was part of The Jackson 5 to the solo artist who rose to become the King of Pop; there was no stopping that rise and regency! 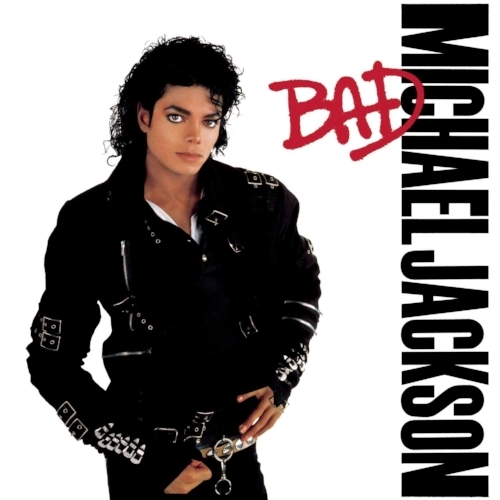 I followed Michael Jackson for most of his solo career and first encountered his work shortly after Bad was released. Jackson would have turned sixty this coming Wednesday so I do wonder how far he would have gone had he lived. As I say, my first taste of his music was with 1987’s Bad. I was only four when it arrived on 31st August but have memories of those incredible songs infiltrating my young brain! Maybe it was around 1990 when I became more immersed in the album and I distinctly remember it being played around the neighbourhood. I, with my friends, would play the cassette and pump the volume right up! My early favourites – from the record – were the title-track, Leave Me Alone and Dirty Diana. Smooth Criminal became a favourite very soon and, in fact, most of the album left a huge impression! Although Bad did not score the big reviews and celebration of 1982’s Thriller; it was a record that offered, in my view, more consistency and a new direction. It is amazing to think Jackson left a five-year gap between records but that was to ensure the sound was brilliant and, inevitably, allow some of the heat to die down following Thriller’s release. I tracked back to Thriller and Off the Wall (1979) and ingested as much as I could from those records. I will discuss the impact of those albums soon but, looking at Jackson’s career and you can see a man shifting and evolving. Early solo albums like Ben (1972) sound radically different to, say, Dangerous (1991). One reason why Michael Jackson stood in my young eyes was because of his videos on MTV and the way he broke ground. He was denied early access because he was black and, during the 1980s, that was a rarity – the station was playing white bands for the most part and that infuriated Jackson! If one connects his changing appearance with a desire to be taken more seriously – an ironic thing considering the messages on his track, Black or White – I am not sure but it is obvious Jackson broke walls and pushed music forward. His epic videos for songs like Billie Jean and Beat It (both from Thriller) were stunning and were his statement of intent. It is amazing to think there were racial barriers on MTV and they were holding back artists like Jackson. Things (slowly) changed but one can only guess how influential Michael Jackson is regarding black artists and their ascension onto music T.V./the mainstream. It is those videos that defined what Michael Jackson meant to me. After the success of albums like Thriller and Bad; Jackson saw himself as this king and prince: a statue and monument of greatness that was ruling the Pop landscape. Although the truth was not far from that impression; as such, Jackson’s promotions became bigger and more expensive. Look at videos for Dangerous cuts Remember the Time and In the Closet and you have a man who was turning music into cinema. You can argue he was doing that as early as Thriller – the title-track, especially, renowned for its images and story. Where’s Pop’s queen, Madonna, was showing her sexuality and confidence; Jackson was turning in these mini-films that elevated his music to new heights. I have selected a definitive video list below and it charts how they became more sophisticated and high-concept. I wonder whether we will ever see a Pop phenomenon who can do that with the music video? The visual feasts and eye-catching promotions did not get in the way of the music itself. I am not sure which Jackson album is my favourite but it would be a fight between Bad and Dangerous – quite appropriate given their titles! Bad mixes some romance and shows its muscles here and there: Dangerous is Jackson releasing his first album of the 1990s and showing a tougher, distinct sound. Maybe the production is a bit compacted and the album is over-long but you can hear a real shift in terms of themes and the effect. Dangerous is more accusatory and wracked: the growing and exposed star feeling cheated and betrayal; coping with hate and keen to change things. If songs such as Heal the World – Jackson claims this is his favourite song – were mocked for being sugar-sweet and a bit naff; one cannot argue against the intent and impact of songs like Jam and She Drives Me Wild. Replacing Quincy Jones – more about his partnership with Jackson later – with new producers, Teddy Riley, Bill Bottrell and Bruce Swedien; you feel Jackson break free from his more innocent days and embrace a more sexual, tough and defiant star. By 1991, he was properly in the public eye and could not escape the endless press intrusion. 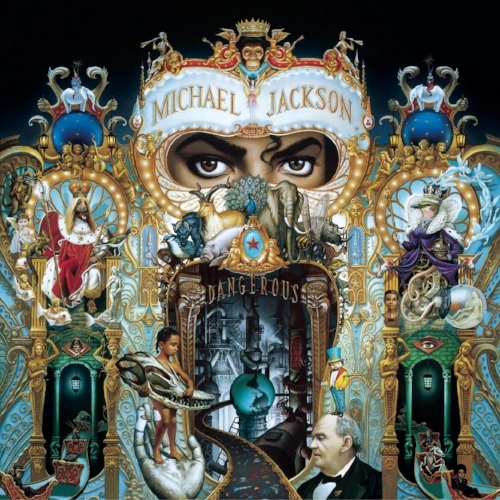 If some critics felt Jackson sounded nervous on the album and lyrics were dogmatically pragmatic; the production not allowing proper expression and pleasing tones then the swirl of attention and airtime the album received compensated. Jackson would release two more albums before his death – HIStory: PAST, PRESENT AND FUTURE - Book 1 in 1995 and 2001’s Invincible – but nothing matched that heyday of 1979-1991. “Jackson, though, was something else entirely. Something new. Obviously he made great records, usually with the help of Quincy Jones. Jackson's musical influence on subsequent artists is simply unavoidable, from his immediate followers like Madonna and Bobby Brown, to later stars like Usher and Justin Timberlake. Certainly, Jackson could also electrify a live audience. His true canvas, though, was always the video screen. Above all, he was the first great televisual entertainer. From his Jackson 5 childhood, to his adult crossover on the Motown 25th anniversary special, to the last sad tabloid fodder, Jackson lived and died for on TV. He was born in 1958, part of the first generation of Americans who never knew a world without TV. And Jackson didn't just grow up with TV. He grew up on it. Child stardom, the great blessing and curse of his life, let him to internalize the medium's conventions and see its potential in a way that no earlier performer possibly could. "...The result, as typified by the videos for "Thriller," "Billie Jean," and "Beat It," was more than just great art. It was a new art form. Jackson turned the low-budget, promotional clips record companies would make to promote a hit single into high art, a whole new genre that combined every form of 20th century mass media: the music video. It was cinematic, but not a movie. There were elements of live performance, but it was nothing like a concert. A seamless mix of song and dance that wasn't cheesy like Broadway, it was on TV but wildly different from anything people had ever seen on a screen”. “Kanye West: Jackson’s influence on hip-hop may be harder to trace, but that doesn’t mean it isn’t there. Of all of hip-hop’s current stars, only West possesses Jackson’s knack for allowing a singular vision to yield huge commercial dividends. West has Jackson’s superstar drive, the consuming desire to do everything bigger and better than anyone before him, and the ability to bring a very particular vision to a mass audience. Like Jackson, West is enamored of the spectacle: the scope and grandeur of his Glow in the Dark Tour was positively Jackson-esque, and his ability to sell hip-hop — in massive quantities — to a pop crowd rivals what Jackson did for R&B. Beyoncé: Cue up any given track on B’Day, whether the stuttering “Get Me Bodied” or the searing “Ring the Alarm,” and hear Michael Jackson’s trickle-down effect. Her contemporaries may have Jackson’s pop flair, but only Beyoncé possesses his fierceness. The spry toughness of “Survivor” and “Independent Women” are distant cousins to Jackson’s darker, meaner numbers (like “Dirty Diana” or “Give it to Me”), and Beyoncé’s gradual transformation from bright-eyed ingenue to the new First Lady of Soul rivals Jackson’s own ascent to power”’. It is hard to say just how far and wide his influence extends. Certainty, you can hear influence in everyone from Justin Timberlake and Beyoncé to Lady Gaga; Hip-Hop artists like Childish Gambino and the new breed of Pop pretenders who want to follow Michael Jackson’s lead. We listen to the music and know what he was capable of but, as this piece shows the sheer volume of sales and awards he won is eye-watering! “There are different numbers on the exact amount of copies that Thriller has sold both nationally and internationally. Many say it's sold 66 million, while others say it's sold over 100 million. Either way, Thriller still remains the first album to become certified 33x multi-platinum. Moreover, due; to Thriller’s success, MJ became the highest-selling recording artist up until the time of his tragic death in 2009. In his career, Jackson was inducted into the Rock and Roll Hall Of Fame not once, but twice, with The Jackson 5 and as a solo artist. On top of that, he’s won 13 Grammys, 86 Billboard Awards, cracked 31 Guinness World Records, has stars on the Hollywood Walk Of Fame for The Jackson 5 and as a solo artist, won eight World Music Awards, won 26 American Music Awards, has been named the "Artist of the Century" at the American Music Awards, and so much more”. We say the same thing with all musical icons: they have given so much to music but, no matter how hard you look, you will find nobody else like them. If fellow icons like Madonna spoke about feminism, sexuality and caught the public imagination with changing fashions; Jackson looked at race, the environment and pushed the limits of what a music video could be. That is a simplified view of his genius but he definitely had his passion and concerns; ensuring every album was different and each conveyed important messages. Those vocal tics and effects – much-parodied but never matched – became his own and was like a language. The sheer range of his voice and the emotional spectrum has not been equalled in music. Maybe Prince matched him vocally but there is something about Michael Jackson’s aura and personality that put him in a league of his own. The complexities of the man include bad – relationship splits and allegations; his changing appearance and eccentricity – and good – him breaking racial barriers and becoming the voice of a generation. Jackson has recently been represented in a series of portraits and paintings (On the Wall) at the National Portrait Gallery and there are rumours his posthumous material did not feature him on lead vocals. It seems, nine years after his death, Jackson is never far from the news! There are great biographies and books you should get to read up on Michael Jackson and some interesting documentaries. I have included a few in the form of hyperlinks (look at selected words and phrases) and Jackson’s sixtieth birthday is a great excuse to study the great man and how he came into music. I have included some of his best interviews in a collection above so I hope, by the end of this piece, you have all the information you need regarding Michael Jackson. We often look at Michael Jackson’s career in the context of the work he did with producer Quincy Jones. Jones’ reputation and input helped shape Jackson’s work and bring new light from it. The two worked together on Off the Wall and it was a travesty the record did not scoop every Grammy it was up for! Jackson wanted to separate himself from the work he did with The Jackson 5 and wanted a different-sounding record. Jones’ new approach and the drafting of Heatwave’s keyboardist Rod Temperton – who wrote three songs – gave Jacko a funkier, tauter sound that fused R&B, Disco and Pop. Temperton tracks such as Off the Wall and Rock with You sit alongside Jackson offerings such as Don’t Stop ‘Til You Get Enough and Working Day and Night. The album established Jackson as a genuine star and showed he could step away from his brothers’ band and thrive as a solo artist. It is the Thriller-Bad period that many see as his watermark. 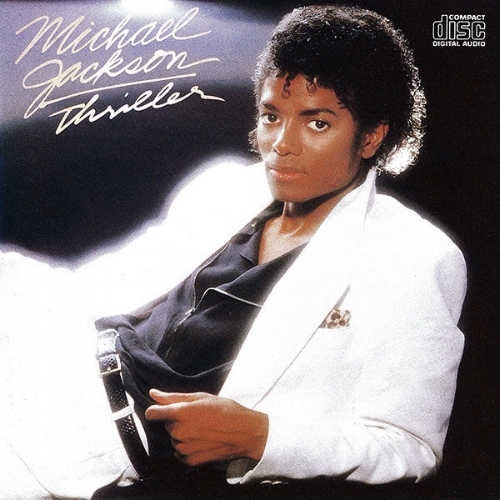 “On this date, 30 years ago, Jackson released Thriller, and with it, changed the landscape of contemporary pop music. Before Thriller, established rock guitarists did not collaborate with soul, R’n’B and disco singers. Before Thriller, black artists were very rarely featured on MTV. The album came three years after Jackson’s first non-Motown solo record, Off the Wall – itself a smash hit which had sold more than eight million copies. Released when Jackson was 20, Off the Wall had been seen as a departure from his brothers and his childhood stardom. Many were sceptical that he could survive without Motown but Off the Wall had proved them wrong and it was assumed that Jackson had reached his peak. Jackson, on the other hand, knew that he was only just getting started. Off the Wall had been a decent disco record, but Thriller was set to span genres and break both boundaries and records. Jackson and his producer Quincy Jones approached the project with enormous ambition. They wanted to make an album that would appeal to fans of all genres and prove so important that the press that would normally give a black man little coverage would be forced to pay attention to him. To give the record true rock credibility, Jackson and Jones drafted in Eddie Van Halen to play a solo on Beat It. “…Compared to the enormous success of Thriller, Bad did not sell as well and only won two Grammies. But with time it has found its place in history. Both Bad and Thriller can easily be named as Jackson’s finest album, depending on who you ask. That said, it could be argued that Bad is the stronger album simply because it doesn’t contain the utterly dire Paul McCartney duet, The Girl is Mine. The legacy of both albums, along with Jackson's individual dancing style, voice, and inclusive approach to different genres is well-documented. Love them or hate them, even brand new artists such as Justin Bieber cite him as an influence. With the countless bizarre stories now associated with the artist, it's all too easy to forget just how innovative, talented and groundbreaking the work of Michael Jackson was, and still is today”. “Jackson was at the top of his musical prowess on “Thriller,” with these songs inhabiting whole worlds and traversing multiple sonic terrains without pausing for even a moment. Through a combination of music video presence and radio reliability, the record became a resounding critical and commercial success-thanks also in no small part to Jackson’s meticulous musical vision and a mainstream music atmosphere that was ready to embrace the next big phenomenon. Though he really never left the spotlight, it was on this record that he produced some of his greatest and most innovative compositions, resulting in the creation and continuation of his mythic pop stature that would exist long after he passed away. “…It was through this legend that Jackson became a lightning rod for both fans and detractors. And so his musical history continues to go-there are those who tout his music as being some of the best ever recorded and those who see only the controversy and less-than-favorable conditions under which he was often scrutinized. But setting aside his storied personal life and focusing solely on his music, you see just how imaginative he was when it came to his songs. These are fully formed lengths of pop wonder and inclusive melodic narratives. There was no one else who even came close to creating this kind of expansive pop music, and after “Thriller” was released, no one even bothered to question his authority on the matter”. FEATURE: We Were All Being Watched in 1984; Nobody Was Listening in 1986: Is I986 the Worst Year in Music History? !